Is it a Bar or a Brothel? 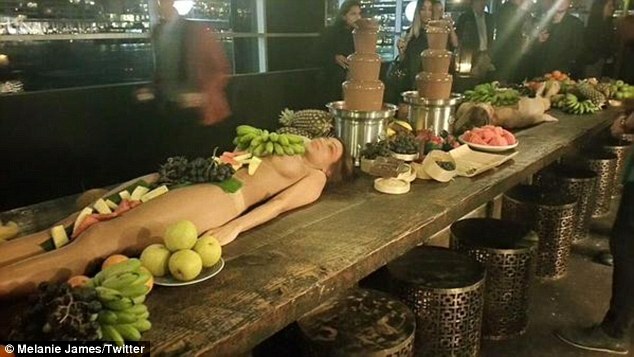 An upmarket Sydney, Australia bar has caused outrage after hiring women to lie naked on the table with food on their bodies during a major event – with the models even made to hand feed guests. People are threatening to boycott Cruise Bar, a popular venue at the Overseas Passenger Terminal in Sydney’s Circular Quay, following the spectacle at their relaunch part.